Organize and display a large variety of accessories with our single tier industrial rotating tray. 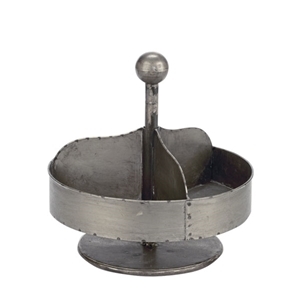 This vintage looking metal tray is sturdy and features a refined gunmetal finish. Add magnets on the outside rim for additional storage and display options.